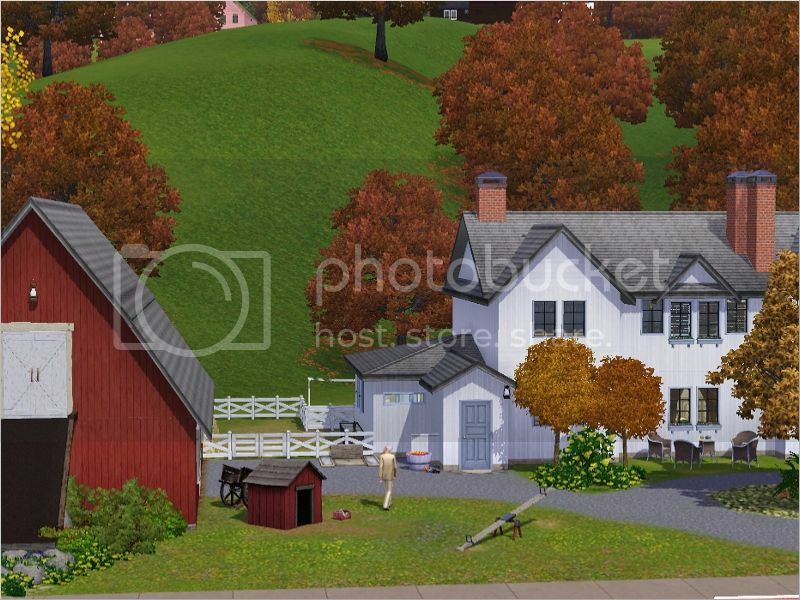 Home Sweet Home Nora is the farm where your sims can settle down and live the Good Life. Horses, cats or dogs - it's room for all of them here. It's also a wonderful place for entertaining, with a large dining room, and a big, front garden. Just put out an extra table and some chairs, and invite the neighbours for a summer party! Nora is the fourteenth house in the Home Sweet Home series. * Not able to see the images? Follow this link: Home Sweet Home Nora. YAY!!! I am so glad I found you. I am downloading now. Thank you so much for this lovely home. Did you know I found you through Cherryblossom Sims site? This has made my Day!! Big Hugs! What a beautiful house. It reminds me of my grandfather homestead/farm. I have so many good memorys of that place. Thank you both of you, I'm so happy you like it, and what a bonus if it bring good memories to the surface Marbi!